It is no coincidence that Alexander Shorokhoff’s most fanciful and whimsical collection is named in honour of one of Russia’s greatest poets and free thinkers – Alexander Pushkin. 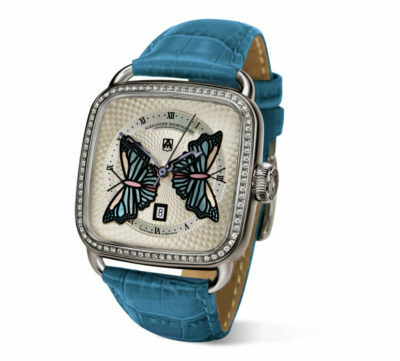 In fact, Shorokhoff’s first ladies watch was from the Alexander Pushkin collection, and aptly so, for Pushkin was a brilliant master of subtle and poetic expression, which helped him win favour with the ladies and society in general. However, the delicate Butterfly timepiece is not just a flight of fancy. 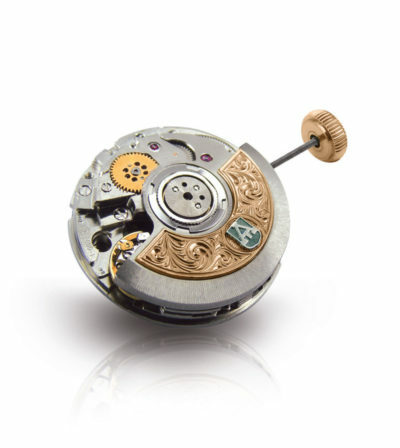 Within the beautifully finished quadratic case and beneath the exquisitely guilloched dial that encapsulates two dancing mother-of-pearl butterflies, beats a hand-ennobled automatic movement. The sapphire crystal exhibition case back allows you to view the detail of the engraved rotor, sparkling flame-blued screws and silver highlights as it competes with the dial for your admiration. Alexander Pushkin was fascinated with fairy tales and legends. 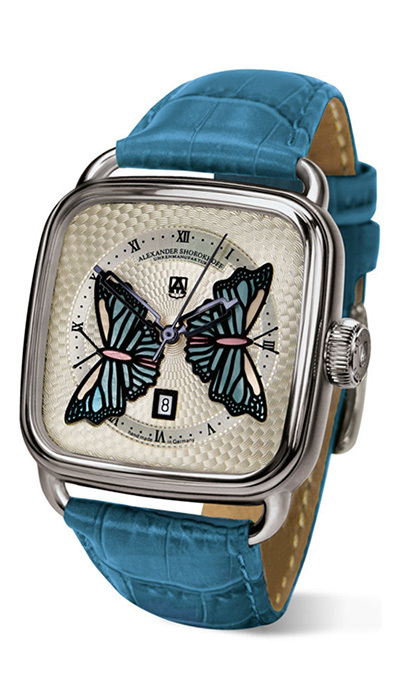 His ability to convey wonder through his words is dutifully acknowledged in Shorokhoff’s pretty Butterfly timepiece. Allow your imagination to run free each time you wear your Pushkin Butterfly and who knows, maybe your dreams will come true too. 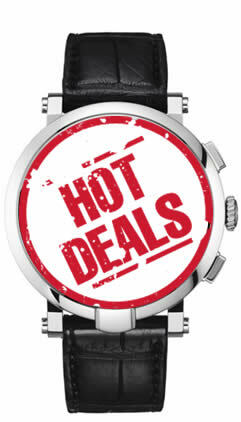 This watch is available with a genuine crocodile leather strap or satin strap. 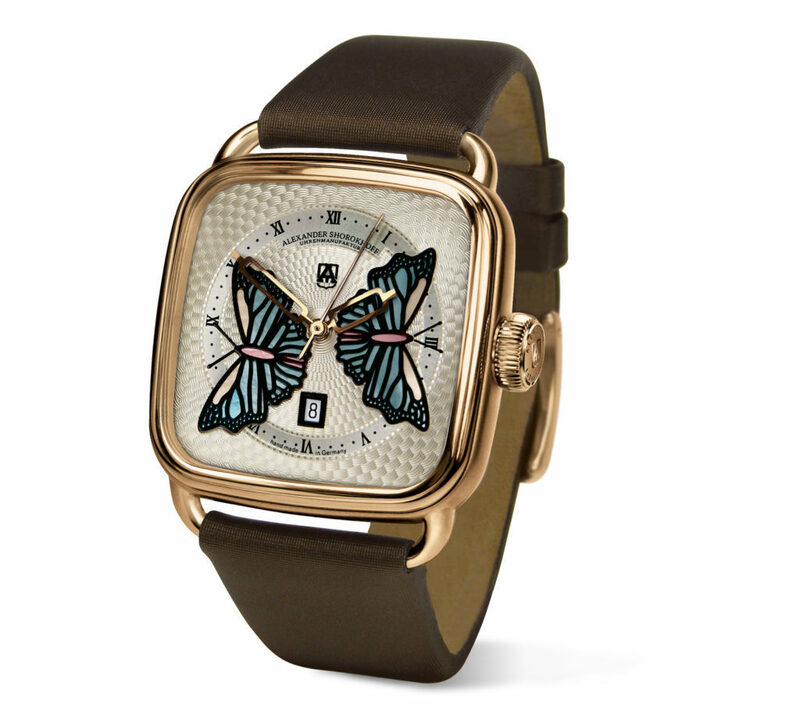 Optionally available with a diamond bezel and with 18 carat rose gold case.